Cassandra understands the complexities of military life. A navy wife, she relocated to Jacksonville, FL in 2002 from Norfolk, Va. She is also the mother of two, the grandmother of two, a Zumba enthusiast and a proud pet owner. Cassandra is familiar with the challenges of selling, purchasing, and other real estate transactions. She ,therefore, delights in assisting others, guiding them through the process of realizing their dream of becoming a home owner in the Jacksonville and surrounding areas. Incorporating her own real estate experiences, her exuberant smile and cordiality have proven to be successful, resulting in repeat customers and referrals. As a professional realtor, Cassandra has acquired several designations and certifications including the Five Star Realtors Top Producers 2017-2018, the Silver Pinnacle 2017, Graduate Realtor Institute (GRI) 2016, and a Master of Art in management and Leadership from Liberty University. Striving to ensure excellence and allegiance, Cassandra’s customer relationships are maintained by effective communication. An experienced educator, she understands the value of listening, explaining and patiently following through with each client. Whether showing or marketing properties, Cassandra enthusiastically approaches the needs of her customers. 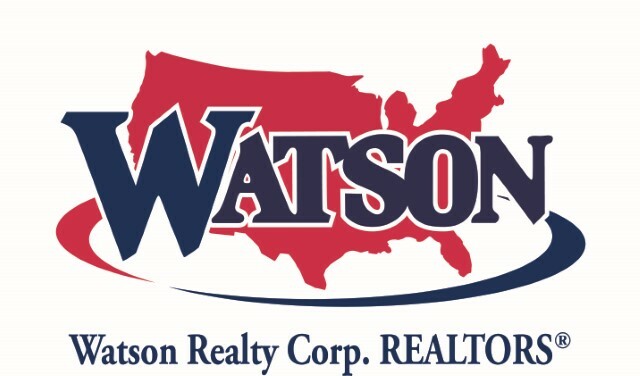 Tenacious and knowledgeable, she and the Watson Realty Corp family are committed to facilitating and providing the necessary tools for your success. She looks forward to working with you, contact her today! Cassandra is very diligent. It is always a pleasure to work with her. I have used Cassandra' professional services for several of my listings and purchases. Cassandra's communication skills and her enthusiasm helped us when we felt confused about the process. Cassandra is personable and professional. Cassandra is dedicated to her job as a realtor. You will not be disappointed working with her as your realtor. C D.
I would like to thank Mrs. Brown for her professional help. She was there any time of the day that I had a question. She made the home buying process very easy for me. Thank you so much. Cassandra is a true Buyer's agent. Very knowledgeable. She expertly walked us through the entire home buying process, giving guidance along the way, to ensure that everything went according to plan and acquire our dream home. Even the deal started to feel shaky, she did everything she could to protect us and make sure that we would walk away a homeowner. My family and I couldn't be happier with our new home. Thank you so so much, Cassandra! James and I would like to extend a sincere thank you for all the effort you put into helping us secure our new home! Without your diligence and patience, we could have lost our desire to continue on this journey. We are forever grateful for all you did! Thank you, thank you, thank you!!!!!!! We thought that we were never going to find the right home. Cassandra was very patient and helpful. She always had our needs in mind. She must have shown us a couple of dozen homes. After months of searching, we were able to find the right home thanks to her. She is a wonderful agent who worked very hard to fulfill our wants and needs. Thanks so much for everything you did ! I think we are pretty much settled in now! We've already had all the family come visit us and they all agree that the house is great! Almost all of the renovations are done, and the chimney looks fantastic. ...Again, thank you so much for all of the help & for being so patient with me, ha, ha! Cass has always been very helpful, very knowledgeable and ready to answer all the questions while going through the buying process." Cass undoubtedly is the best in the business!! She is very professional, detailed, and has the most delightful personality. 100%, very pleased with our experience. You all are top-notch! Cassandra Brown y Patricia Davis nos han ayudado incondicionalmente con todas nuestras necesidades de bienes raices en le venta de nuestra casa. Ambas son un ejemplo de profesionalismo en su comportamiento y excelencia en el servicio. Yo las recomiendo a nuestros amigos de habla hispana y familiares. Patricia sobresale en la traducion de nuestro idioma Espanol al Ingles. Cassandra Brown and Patricia Davis have helped us unconditionally with all our real estate needs with the sale of our house. They have exemplified professionalism in their behavior and gave us excellent service. I recommend them both to our Spanish speaking friends and relatives. Patrica excels in translating Spanish to English. We enjoyed going through the home buying experience with Cassandra! She was very patient and understanding with us as we moved through this very tedious process. Cassandra was open to speaking with us anytime during the day or night to ensure we clearly understood our status. She kept us abreast of each step and was very clear in her communication. I would highly recommend her to my family and friends, who are considering buying a home! We are sincerely appreciative of her. Working with Mrs. Brown was a complete delight. We had a large list of needs and not a huge budget but somehow she managed to fulfill all our needs. She accommodated us with a smile and professionalism at all times. My family is so pleased. She's very nice and good. Help me with everything until closing the house. I will say thank you so much, Cassandra. "It was a pleasure to work with Cassandra. From the first time we contacted her she got right back to us and was always available. She is very nice and so professional at what she does. We highly recommend her." Data last updated 04/20/2019 08:11 PM. The data relating to real estate for sale on this web site comes in part from the Internet Data Exchange (IDX) program of the Northeast Florida Multiple Listing Service, Inc. Real estate listings held by brokerage firms other than WATSON REALTY CORP are marked with the listing broker’s name and detailed information about such listings includes the name of the listing brokers. Data provided is deemed reliable but is not guaranteed. Copyright 2019 Northeast Multiple Listing Service, Inc. All rights reserved.